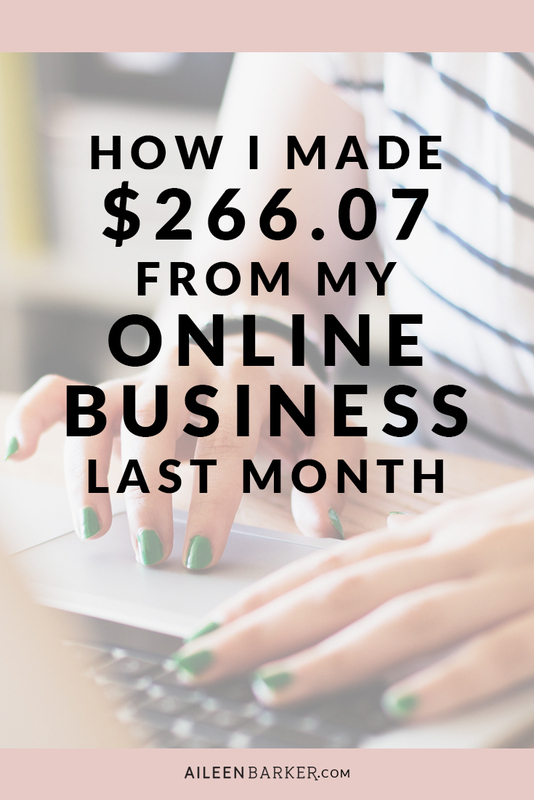 Welcome to my online business income report! I love reading the income reports of other bloggers and wanted to start sharing mine as a way to be transparent, as well as motivate myself (and hopefully others!) to create a successful business. I’ll also be including my traffic and social media stats as well as goal tracking since those are important parts of the business and it’ll help me keep track as I move forward. Please note: Due to pregnancy + maternity leave I put my business (mostly) on hold for about a year between October 2014 – October 2015. This is me basically starting over! Just thought I should clarify. Tracking my income is part of my goal to make $5,000 per month by October of 2016. I recently made that a goal and gave myself a year to achieve it. Join me on my journey! I include all of my online business income and expenses from blogging, design, and any of my other business related income streams. To be honest, I almost didn’t do an income report this month. I thought to myself that I made so little it wasn’t worth the effort and, to be honest, it’s a little embarrassing. But the point of these is for transparency, motivation and keeping track of my progress. I spent all month working on my course that launches in a few weeks. I did do a small presale for my course in a workshop I taught, but oh boy the technical difficulties I had. I’ll be doing a post on that in the next week or two. Everyone was gone by the time I finished up because of all the trouble I was having with the internet. But I’m excited that I officially have one student regardless of the technical difficulties and have talked to her enough to know she will absolutely love the course. I’m doing a better job of bringing my expenses down! I’m cutting one or two more expenses in March and hopefully won’t have too many added expenses. The traffic to my site is down a bit, but that’s because I’ve been focusing all of my brainpower on my course and not writing many new blog posts. With a baby at home it’s really a matter of choosing what’s most important and I knew that the great content I already have on the blog would sustain my traffic for the most part. But I am excited to getting back to posting more regularly. My main source of traffic is Pinterest so it’s nice seeing that number go up, although I’m more focused on getting good content on Pinterest than I am building a ton of followers. I’m not really into building my social media as much as I am excited to build my email list which has been growing more than ever! Fail. It officially launches March 19th, BUT I did have a presale on it so it’s a half pass, right? Nope. I was at 552 at the end of the month. So close! This is definitely happening, I’m in the middle of finishing up writing the content and then all I have to do is record the videos and finish creating all the worksheets. Not a full redesign or anything, but I want to have a different navigation structure, a landing page and I want to move towards adding a little more color other than black, white and light pink to my color scheme. Though I’m moving towards offering more products, I still love design and plan to open up 2-3 design spots for Squarespace designs for the last half of April into May. HOW WAS FEBRUARY FOR YOUR BLOG OR BUSINESS? WHAT ARE YOUR PLANS FOR MARCH? Thank you for posting! I so (so! so!) appreciate seeing an income report from someone who isn’t making a ridiculous amount of money… this feels so much "real-life" to me!